We selected 12 creative practitioners from across the UK and East Asia to travel to Japan to re-imagine childhood play. The 2014 ELEVATE StartWell™ Challenge invited applicants to present innovative new concepts to improve the element of play in early childhood (0-8 years), reimagine urban spaces and playgrounds, and the way young children interact with space. Entries were received from 12 countries, across disciplines that included design, architecture, early childhood, performing arts, technology and production. Ideas included pop-up spaces representing the local country, iPhone apps to encourage children to play outside within nature, spaces and concepts to enable full enjoyment for children with access requirements, and large-scale playgrounds inspired by the ‘A Different Class’ typologies presented by Lekker Architects with the Lien Foundation earlier this year. The panel of judges – consisting of senior representatives from the Lien Foundation, Lekker Architects (Singapore), British Council, Yamaguchi Center for Arts and Media [YCAM] (Japan), St James’ Church Kindergarten (Singapore) and the ArtScience Museum (Singapore), Demos (UK) and international playground manufacturer Lappset – was hugely impressed by the creativity of applicants in approaching the ELEVATE Challenge. In February, the 12 Fellows will assemble in Tokyo and Yamaguchi, Japan, for a one week Innovation Camp, organised by the British Council, Yamaguchi City Foundation for Cultural Promotion and with the support of Yamaguchi Center for Arts and Media [YCAM]. The camp will also be facilitated by UK experts Shelagh Wright and Ella Britton. There, they will work with local and international experts to further develop and refine their ideas, experience new and innovative models of design and ideation, and collaborate across countries. At the end of the Camp, the Fellows will resubmit their ideas for the opportunity to secure a portion of the SGD$50,000 funding available to further develop their concepts. Partners for the Fellowship and Innovation Camp components also include ICCE, Goldsmiths-University of London and Google. 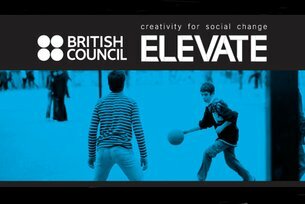 Developed and presented by the British Council, ELEVATE aims to build a global community of creative problem-solvers, who will meet practical challenges with innovative solutions. Creating a more playful future for children around the world: $50,000 funding awarded to innovative ideas from the UK, the Philippines and Singapore through the ELEVATE Startwell Challenge. ELEVATE Startwell™ Challenge: Reimagining Play: What next?